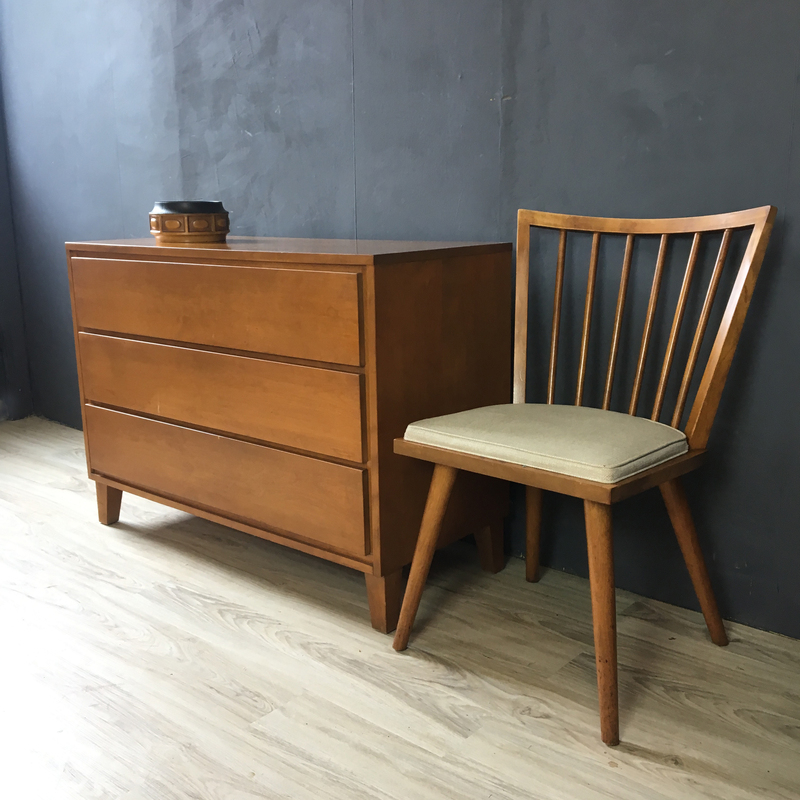 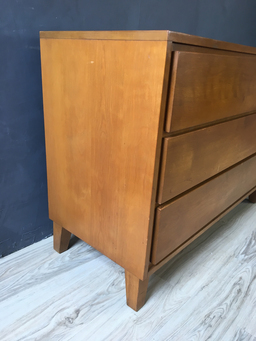 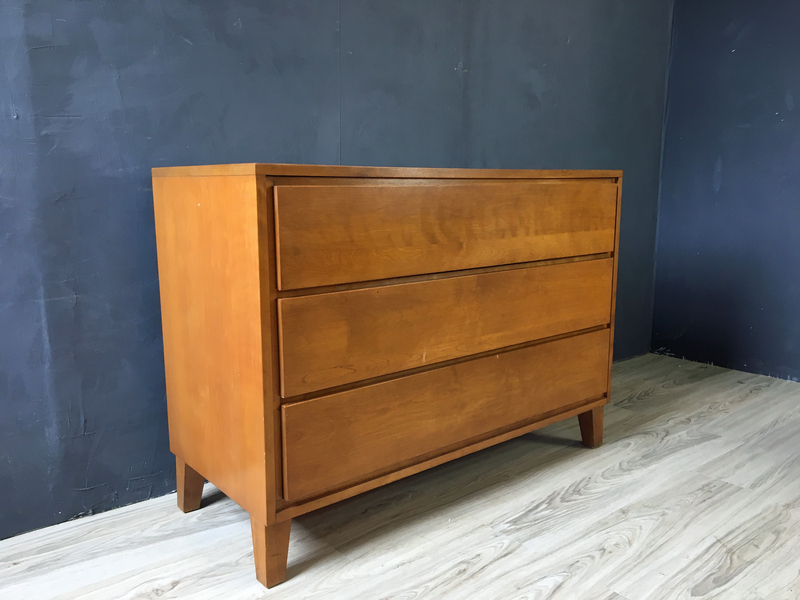 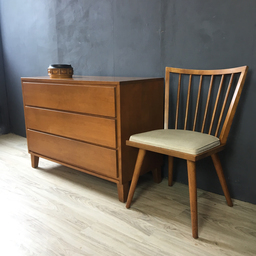 Commonly misattributed to Russell Wright, this solid birch bureau is part of a line manufacurred by Conant Ball and designed by Leslie Diamond called "ModernMates." 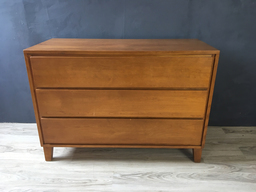 Finished in a warm honey color finish, the series featured concealed hardware and a minimalist appearance and was designed to work seamlessly together with other modernmates pieces. 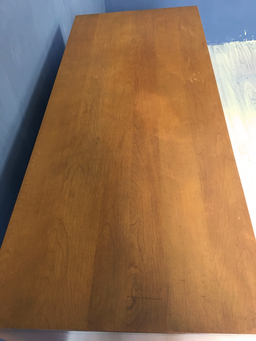 Structurall very sound and with the orginal finish which shows signs of wear on the top.